Whether for charity or personal challenge Lands End to John O’Groats is worthwhile to see our lovely countryside at a slower pace. This website has a lot of very good information and seems to be very up to date with other links. from Helmsdale to Melvich along Strath Halladale. These roads have little traffic and beautiful scenery. 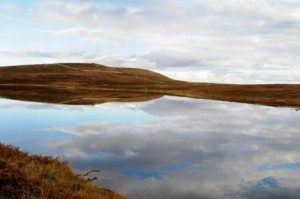 The north coast road to John O’Groats takes you past Dunnet Head – the most northerly point. If you find John O’Groats a bit of a disappointment when you get there, please go to Duncansby Head (just a short way) to see the stacks. 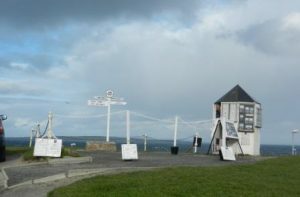 Thurso and Wick are relatively large towns and have most amenities including cycle shops. 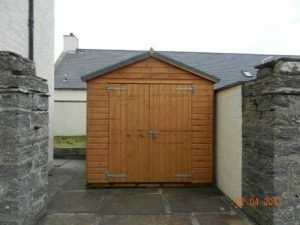 We have a large, locked shed to store your cycles at our bed & breakfast house in Thurso and we are not far from the train station. If you want to take a cycle on the train south you must pre-book it in as there are limited spaces.